The performance of the Oxford University Gun Tunnel has been estimated using a quasi-one-dimensional simulation of the facility gas dynamics. 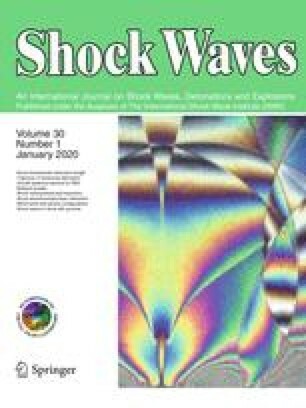 The modelling of the actual facility area variations so as to adequately simulate both shock reflection and flow discharge processes has been considered in some detail. Test gas stagnation pressure and temperature histories are compared with measurements at two different operating conditions – one with nitrogen and the other with carbon dioxide as the test gas. It is demonstrated that both the simulated pressures and temperatures are typically within 3% of the experimental measurements.